People are rushing to buy televisions in record numbers as manufacturers race to launch new cutting-edge models, in an attempt to maximize sales in anticipation of the 2010 World Cup, which begins next month. Football (soccer) has become the most popular sport of many Vietnamese households, so nobody wants to be without a TV during World Cup season. Since FIFA has announced plans to broadcast some of the matches in 3D, most producers have focused their production of televisions equipped with the new technology. In the Vietnamese market, Samsung was the pioneer in the development of 3D televisions with LCD and Plasma screens, ranging in size from 22 to 63 inches. Some models include new multi-functions such as internet access and power-saving settings that can reduce energy costs by 35 percent. Sony launched 11 models of Bravia TV, ranging in size from 32 to 60 inches, last March. Other makers have also competed to produce 3D televisions. Traders said LCD televisions still sell like hot cakes, thanks to their wide screens and account for two-thirds of all TV sales. 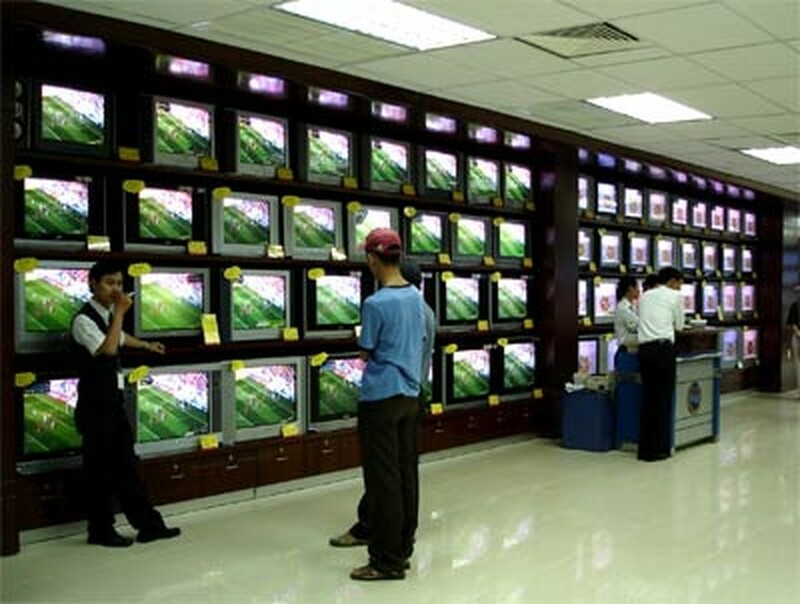 Nguyen Thi Quyen, deputy sales director of Thien Hoa Electronic Center, said the purchase of televisions has surged by 5-10 percent since early May. 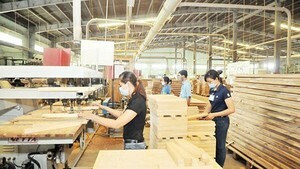 TV makers have accordingly raised their prices by 3-5 percent, she added.